Three years ago, I saw someone using an ebook reader, a Kindle. We’d just hired them for a new project and when they came in the first morning, they had with them this ugly and basic tablet that could only display things in black and white. I was fascinated! I had known about ebook readers for a long time but had never really got serious about buying one. I had never held one in my hands. To me, a Kindle was just a type of tablet. As good, well actually as bad, as the Android tablets I had tried to use. I didn’t like tablets, so I was lazy to find out more about the Kindle.It is a bad thing to be lazy. It is a bad thing to be lazy. I love reading books, but up to that point, I relied more on listening to books than reading them. I had an Android app for playing books and would spend time on LibriVox finding free classics to listen to. I also got a good supply from other sources. I loved it. I’d go on long walks with just a smartphone on ‘full battery’ and a new audio book. Regular size books would take 2 walks. Large ones, 4 or 5. But on that morning, when I held a Kindle in my hands and flipped through the pages of an ebook (he was reading a Harry Potter I think), the decision was made. I was getting one. Here was a basic reading device, black and white display, no internet browser to speak of, no apps, no Facebook or WhatsApp and no sim card to bother me with calls. Nothing but books. I was getting one. Here was a basic reading device, black and white display, no internet browser to speak of, no apps, no Facebook or WhatsApp and no sim card to bother me with calls. Nothing but books. Here was a gadget made for one purpose only. Reading books. So I asked a relative in the US to get me one. Unfortunately, when they went shopping and saw the Kindle displayed along with other regular tablets, they were convinced there was no way I wanted the ugly outdated device. So they did me a ‘favour‘ and bought ‘a proper modern tablet’ instead. Arrrgh…! Long story short, they had to go back to buy a proper ebook reader. A few months later, a Kindle became part of what one would get on joining the team here at Techzim! Somehow ebook readers are still not that popular with the good people we meet. We make it a point to talk about them to change this. They are low cost compared to smartphones ($79 only) and good books are not hard to get (to buy 😉 ). And if you’re not reading and learning new ideas, stories & just stuff… what important thing do you spend your time on? Usually, these good people say something along the lines of “Ah, but I can read PDFs on my laptop or phone!” Well, reading from a laptop is not exactly convenient. But also, it’s all the distractions you get from your internet browser and all those apps packed on the device. But more importantly, it’s the need to charge a laptop every 3 hours or so. With a Kindle you can go several weeks, reading every day, on just one charge. Some also say “Ah, but I love reading real paper books.” Indeed, but is that really better than having all your books – read and waiting to be read – packed in a light device, small enough to carry with you everywhere? The Kindle can pack thousands of books. Besides, why wait days/weeks to get a physical book after buying it, when you can get it immediately on your Kindle just seconds after discovering it? I’m not saying physical books are bad or dead. I just think ebook readers are more convenient. I think it is a good thing to try them before dismissing them as not for you! I only started using this piece of technology 3 years ago. That was way too late considering the first Kindle was introduced a decade ago. Don’t be like me. 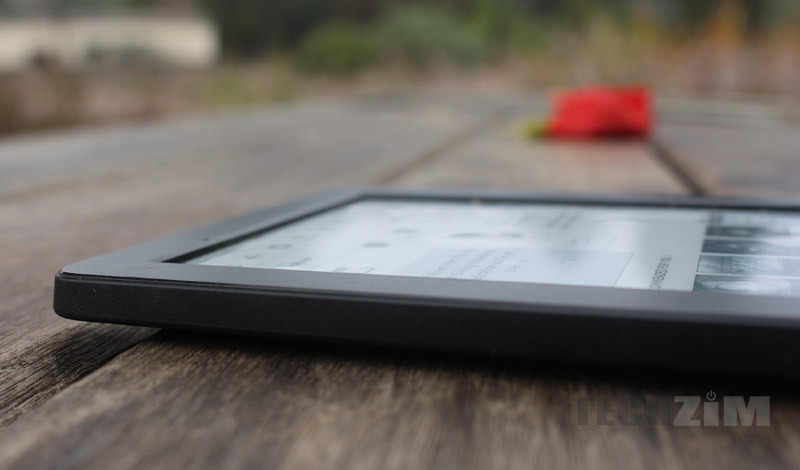 Get yourself an ebook reader sooner. And it doesn’t have to be a Kindle. There are other ebook readers out there; Nook and Kobo are considered quite good too. Hmm interesting. One question though, How different is reading books from the kindle app on a tablet than using the actual ebook reader? Tablets are power hungry. The Kindle battery can last for a month or more of moderate reading. Secondly the screen is optimized for reading in the newer “paperwhites”, it’s close to reading on a book so you can read longer. It’s almost more rugged than your average tablet and therefore no worries about breaking the screen which ain’t as glassy as normal touchscreens. this paragraph is repeated – twice. I also had a Kobo 3-4 years ago. I smashed the screen and never got over the heart break. It’s way past time to get a new one. Thanks for the reminder. Great article thanks for sharing awesome information …..